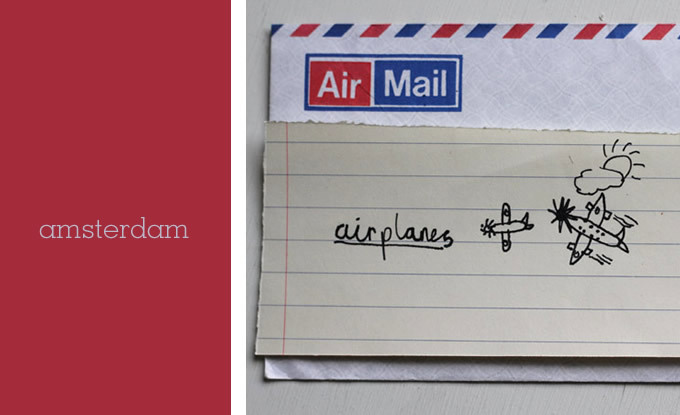 I’m off to Amsterdam for a few days with my husband for our 10th wedding anniversary. I haven’t been there since I went inter-railing around Europe when I was 18 and am really looking forward to it. I will do the prize draw next week and let the winner know by email and follow up with a post. Thanks to all those who have entered so far, the comments have been great. PS The drawing is by my little boy! I first worked with Uli Schade on a story for Elle Decoration magazine and we just clicked straight away and went on to shoot some of my favourite photo stories. We got together again recently to shoot this little homemade edible gifts story. Food is a little bit of a departure for me but combining it with decoration as gifts and ideas for your table was fun, especially with Christmas not too far away. When my graphic designer husband saw the photos he thought it was perfect to try something different to make the most of their high quality. He had been wanting to try out issuu.com for a while and suggested we try them as a little digital magazine booklet rather than a normal blog post. So we gave it a go, jotted down the recipes and some words and let him design it. It’s a bit of fun but hopefully it will inspire you to try making some edible gifts for your friends and family this Christmas. Who knows, if you like it we may do it again. What do you think? We would love to hear. And if you like it please share the link! After the lovely comments on my Fluro Flora post I thought I would post a couple more images that I took while I was in the mood for experimenting with paint. 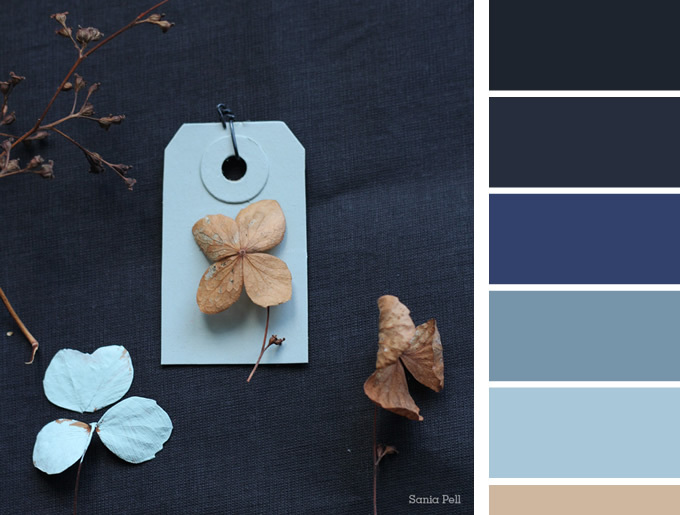 As a contrast to the fluorescent I had also tried a powder blue, just a tester pot of emulsion I had in the shed. 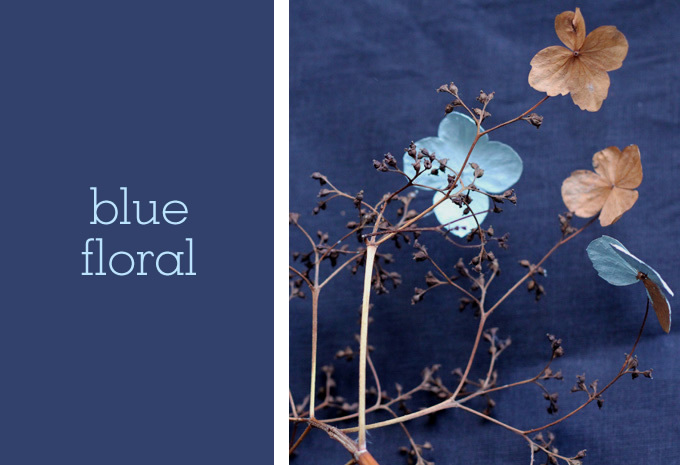 I picked a dead head of a climbing Hydrangea that grows up the fence in my garden and thought the blues would go well against the neutral browns of the dried flowers. 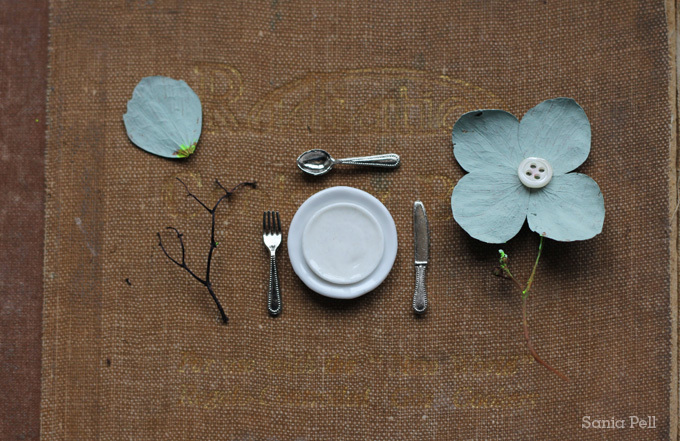 I played with scale again, using a miniature dolls house place setting with an old recipe book cover as a table. The book belonged to my husband’s grandmother and is called ‘Radiation Cooking’ which sounds rather worrying but it was first published in 1927 and is just recipes for oven cookers with automatic heat controllers which were the new fangled technology of the time. 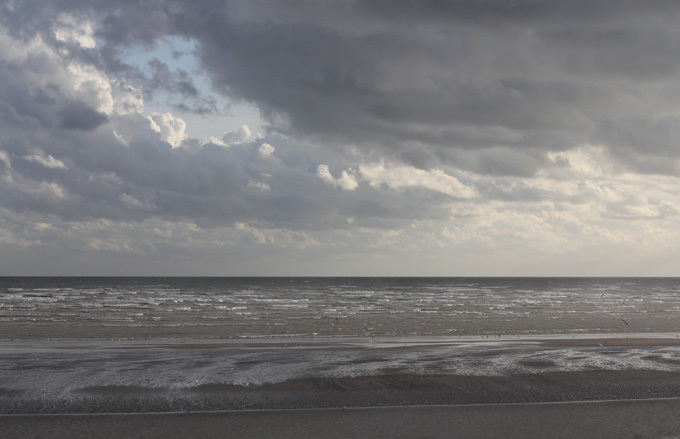 There is nothing quite like a walk by the sea, even on a cold and cloudy day. The fresh sea air, inhaled deeply, is just a wonderful change of scene for a city dweller like me. The blustering wind making our noses run and blowing away cobwebs, cheeks glowing and fingers tingling. 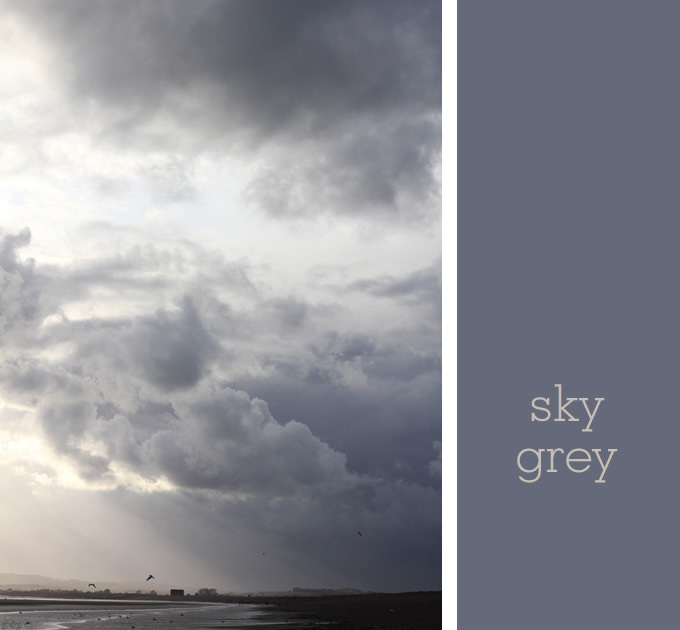 Seagulls soaring and clouds threatening to rain, laden with grey precipitation. 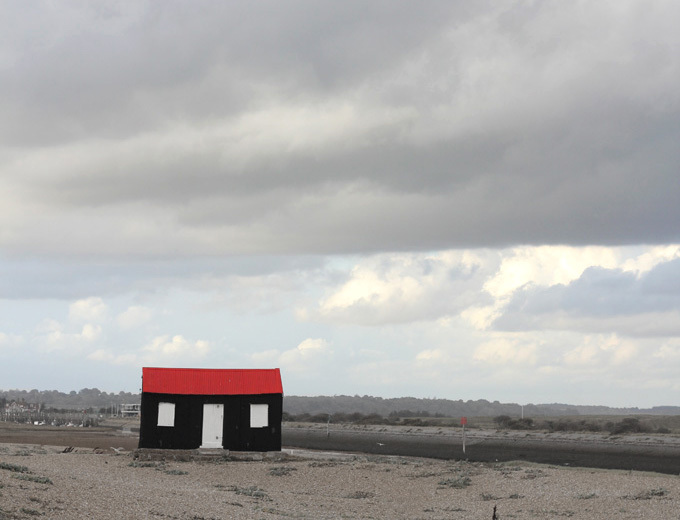 Dungeness nuclear power station was on the edge of our view and a reminder that Derek Jarman‘s Prospect Cottage was not so far away. I must visit his little coastal retreat one day, a good reason to return. 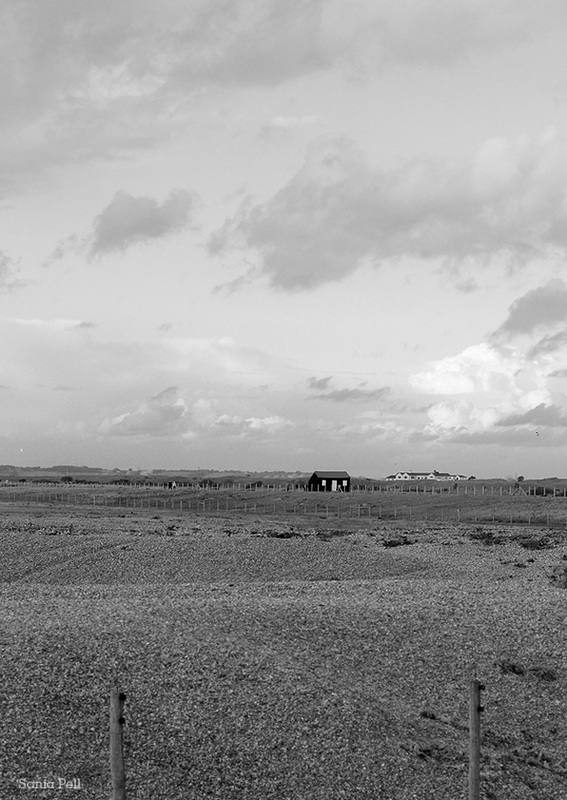 So our little family visited the coastal town of Rye in Sussex one grey, moody day last month. It is a very sweet town with cobbled streets, antique shops for browsing, steeped in history and stories of pirates and pistols, smuggling and shipwrecks. We felt like we were part of an Enid Blyton adventure. We returned to London that evening, blown away by the wind, saying good bye with our pockets heavy, laden with found loot; pebbles, shells and dried seaweed, to be treasured and admired as mementoes at home. 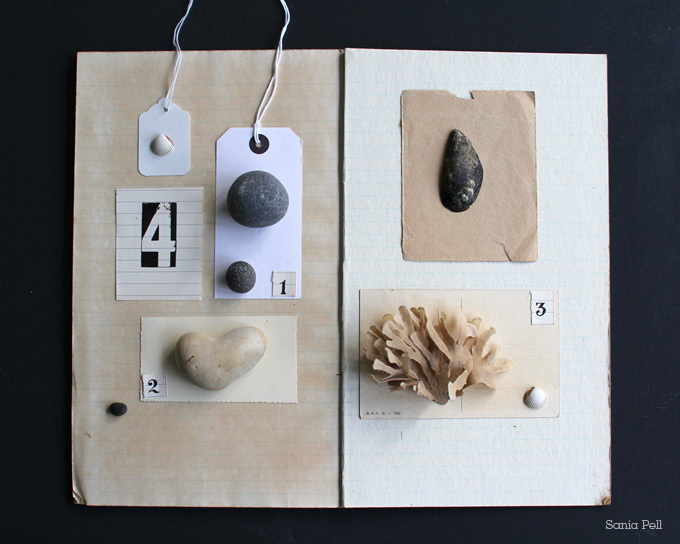 I photographed our finds rather like a Victorian collector cataloguing their discoveries, layering papers and using graphic stamps as a detail. 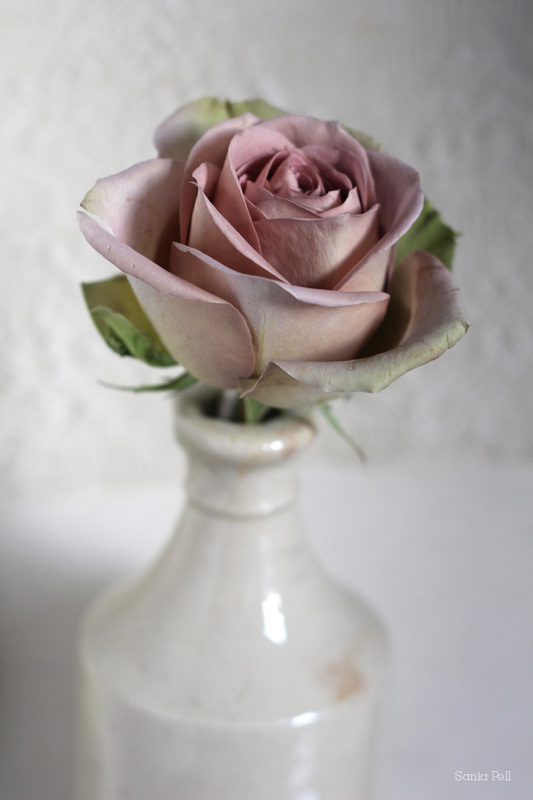 Little nothings to display on shelves and evoke lovely memories. I’m very excited today to bring you my first book giveaway courtesy of CICO Books! 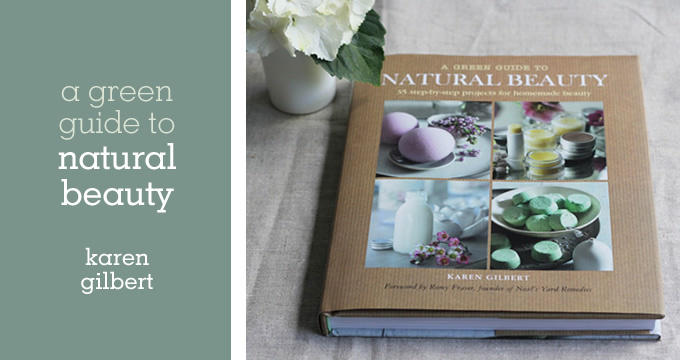 This is the new book by Karen Gilbert and is called A Green Guide to Natural Beauty. 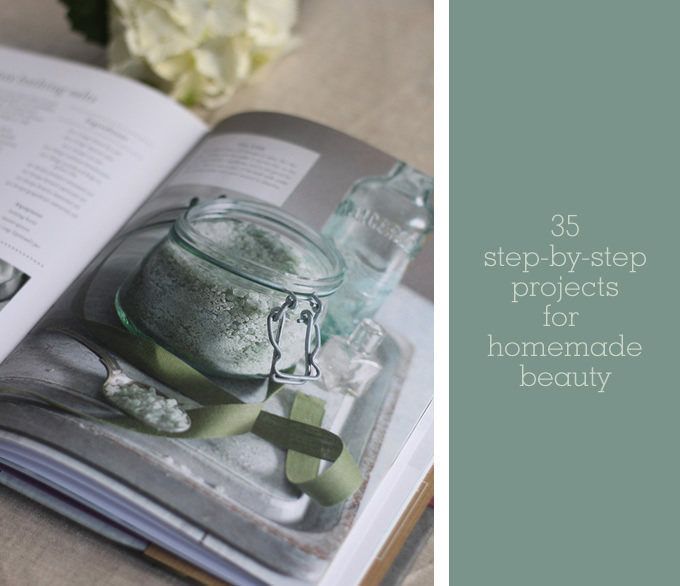 It contains 35 step-by-step projects for homemade beauty and if you love making then this is a great book to add to your collection. I had the pleasure of styling all of the images in this book earlier this year to help create the look for it, working with the wonderful photographer Stuart West in his studio. It was a really fun and informative few days and with Karen making the projects in front of us, it was like receiving our own private tutorials. Karen is a natural skincare and fragrance expert and runs artisan perfumery and natural beauty workshops. She originally trained as a make-up artist and cosmetic scientist at The London College of Fashion and went on to work as a fragrance evaluator for one of the world’s largest perfume manufacturers. After many years she decided to pursue her lifelong passion for natural health and beauty by training in aromatherapy and joining the product development team at Neal’s Yard Remedies, helping to create many of their award-winning products. 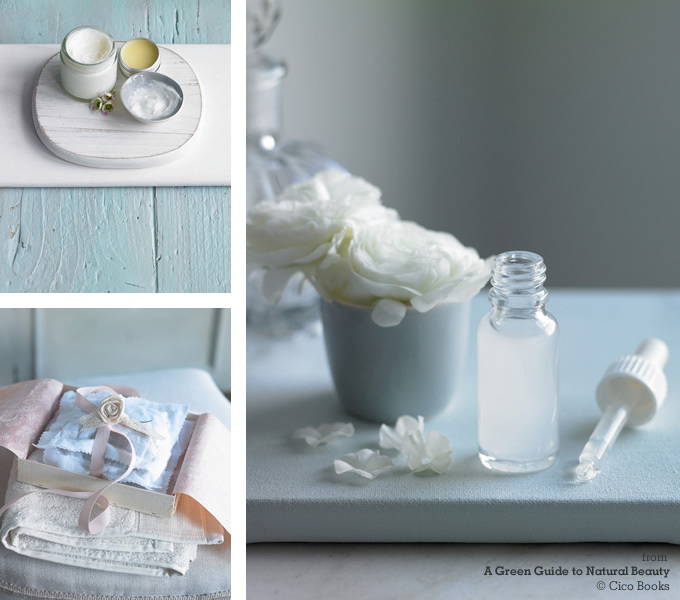 A Green Guide to Natural Beauty was published in August and is her first book. If you have a moment pop by Karen’s website. We also spent a few days in different beautiful locations photographing the finished projects in charming surroundings and it was great to style the book from cover to cover. Stuart is a fantastic food photographer and regularly works for clients including Waitrose, John Lewis, Costa Coffee, Delicious Magazine and many more. All the photos above are shown courtesy of CICO Books – check out all of their craft books on their website. The photos below are mine that I took for this post. 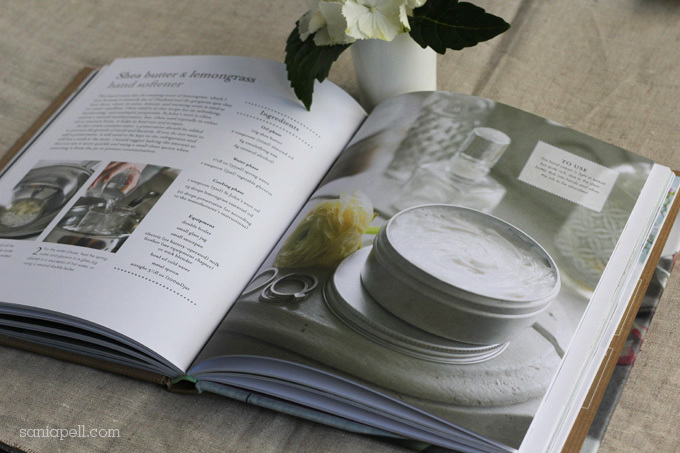 The book is fab with 35 recipe projects, 144 pages and 200 colour photos. It includes a chapter on getting started and then projects falling into three categories: ‘for the face’, ‘for the body’ and ‘bath and shower’. 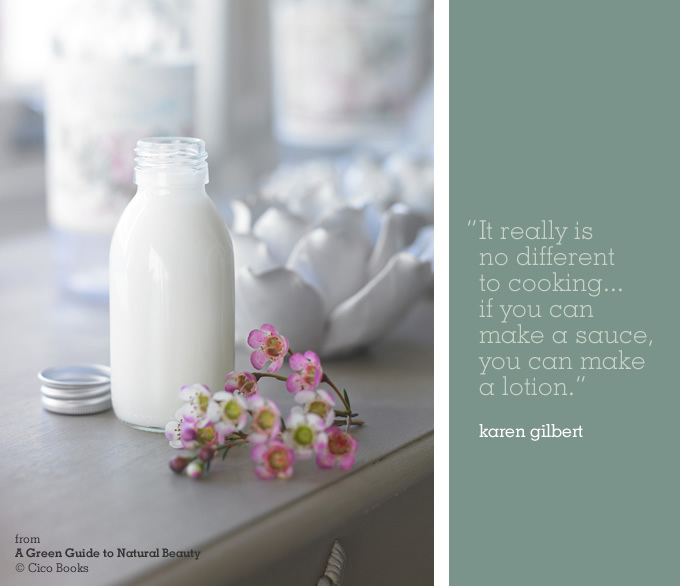 Karen shows you how to make your own beauty products in your kitchen at home, using easy-to-obtain, natural ingredients and easy-to-follow methods. For the face, there are moisturisers, face masks and cleansers; for the body there are scrubs and shower gels, soaps and body lotions. 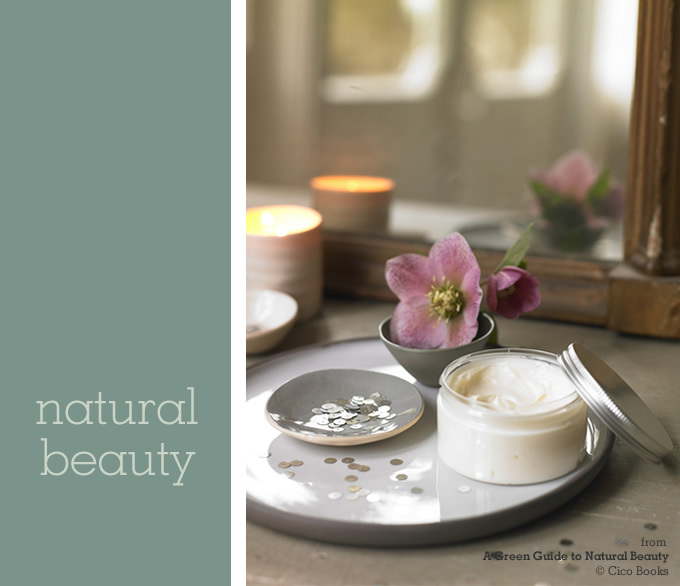 And when you need some extra-special pampering, there are recipes for lip balms, massage bars, bath oils and eye gels. 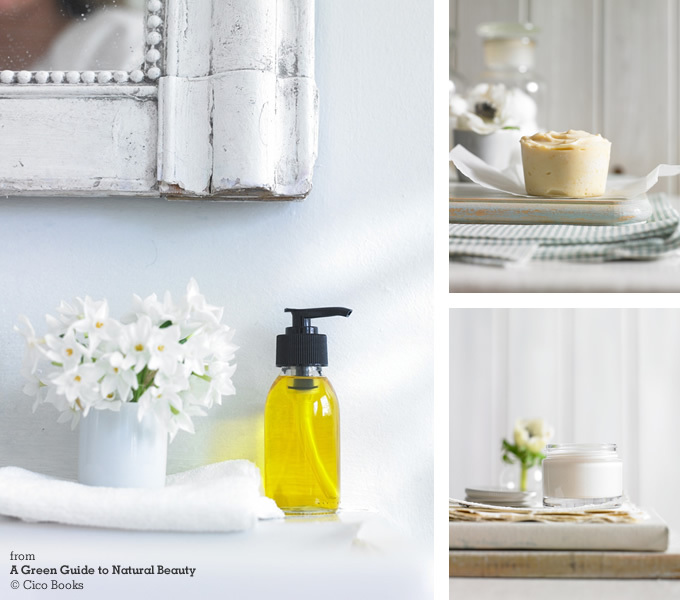 You can try your hand at making a neroli hydrating spritz or a jojoba and aloe vera moisturiser, mango and lime body butter or lemon and tea tree foot balm, bergamot and grapefruit wake-up wash or cocoa butter lip balm – the hardest part is choosing which project to try first! Each recipe has clear step-by-step photographs to guide you, and there are numerous variations. I was naturally drawn to the bath chapter of the book, the chocolate bath melts smelled divine whilst we were making them and would be wonderful gifts to give away too, as would many of the other projects in this chapter. 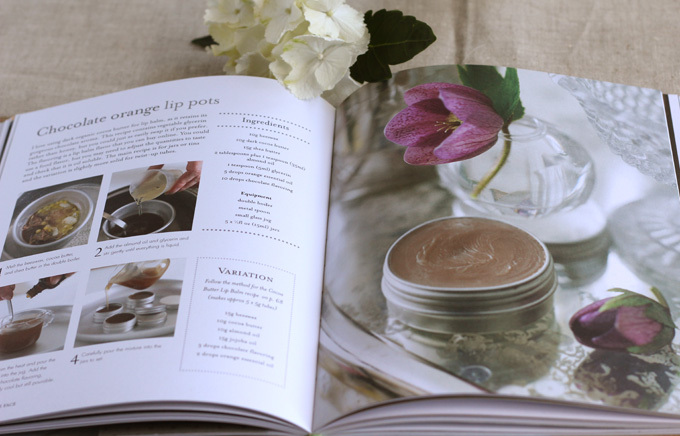 This book would make a great gift, perhaps accompanied with some beautiful empty bottles and raw ingredients for the recipient to start making their own beauty products straight away. Or just keep it all for yourself and make lots of things to give away as gifts. And here is the good news, CICO Books have let me have one copy worth £14.99/$19.95 to give away to one of you and it’s open to everyone, worldwide! 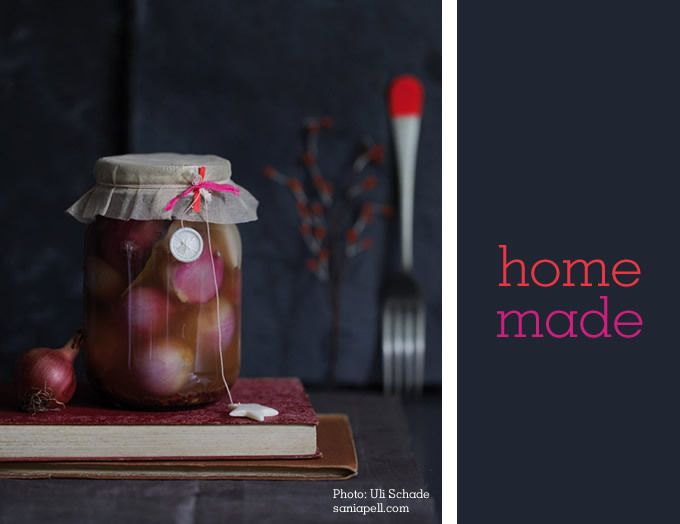 All you need to do is leave a comment on this post and simply tell me – what do you like making? The closing date for entries is midnight 1st December 2011 and I will enter everyone’s name in a draw and select a winner by random. The winner will be notified by email. Great, hey? So you could be getting an extra Christmas present this year if you’re the lucky one! If you can’t wait that long then the book is available to buy now on Amazon.com and Amazon.co.uk which also has a ‘look inside’. Please comment now to enter. One entry per person. I won’t pass your email addresses to anybody else. This morning we hopped in the car and headed over to East London to one of my favourite places, Columbia Road, for the weekly flower market. I don’t think I’ve been since my daughter was born so it was a treat to visit. It was a beautifully crisp, sunny November morning perfect for wandering with the family, bantering with the market traders and looking in all the arty, handmade and vintage shops and stalls that line the road and the streets around it. There are so many independent, creative, quirky shops over there it’s always a pleasure to visit. I bumped into lovely Emily Chalmers of Caravan, popped into Rob Ryan‘s shop, nipped round the corner to Ally Capellino, Luna & Curious and Leila’s Shop then on to SCP on Curtain Road. 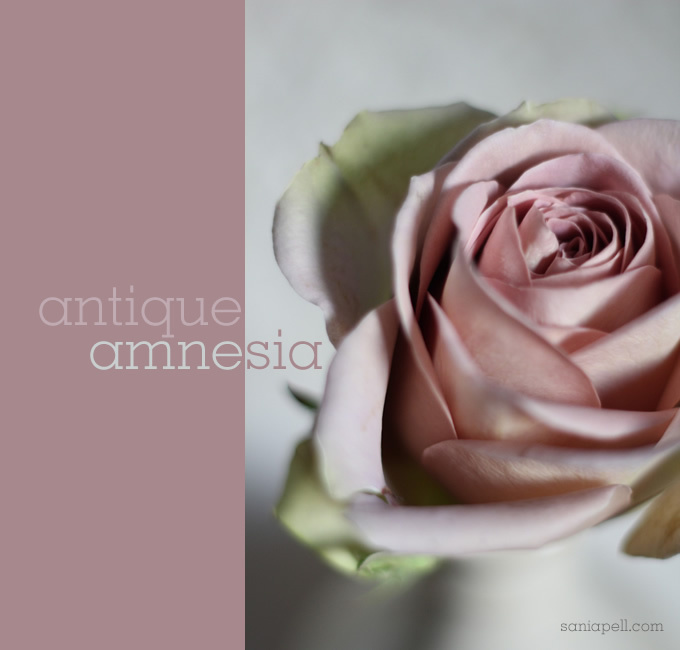 Among my fresh, floral purchases I couldn’t resist a bunch of my favourite roses – Amnesia. 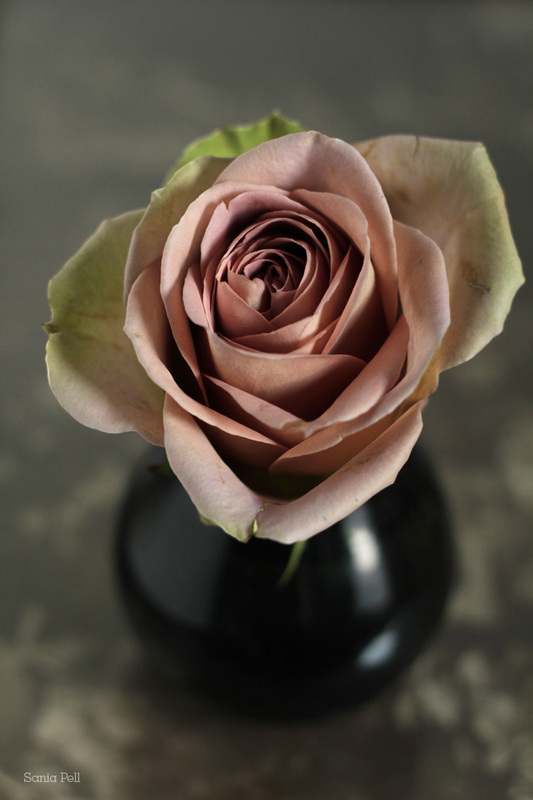 I love its delicate, dusky pink with tones of green and brown coming through. Just gorgeous with a vintage but stylish feel. Columbia Road flower market is every Sunday from 8am to 3pm, though get there early as it gets very busy. I couldn’t resist taking a few photos when I got home. A perfect Sunday outing.